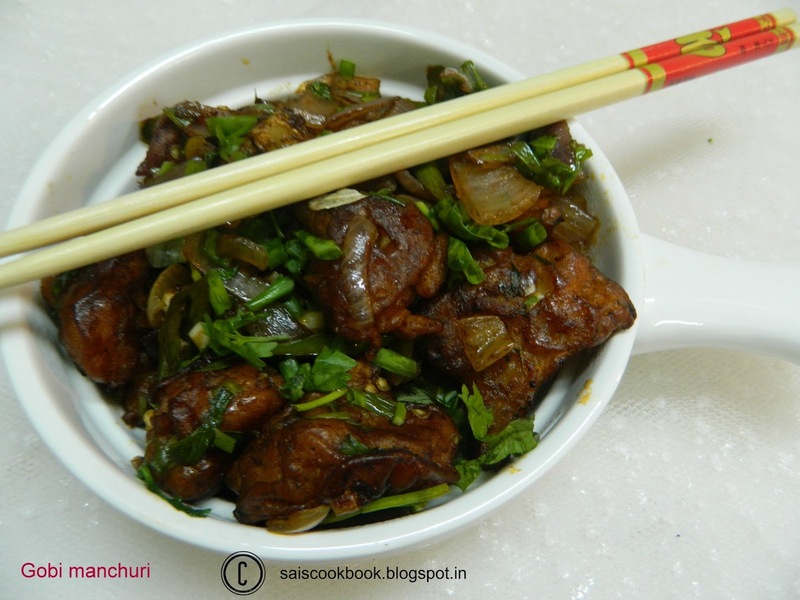 So the star of the blog has finally arrived in my blog,the first ever special dish I cooked in my life,none other than Gobi Manchuri.Gobi manchuri was my childhood favourite starter which I would hog very often.Few days back my first ever interview was published in a site here.There I have mentioned about this dish.Please check it guys.I was wondering how did I miss this wonderful dish which I cook often for my kids.This time I adapted the recipe from my dear friend Aparna Kamath’s blog.The dish came out very good.I adjusted the spice according to my taste. Boil the cauliflower florets in hot water with a pinch of turmeric powder for 5 minutes,drain and keep it aside. Make the batter with the all the ingredients mentioned under the same with water to a medium thick paste. 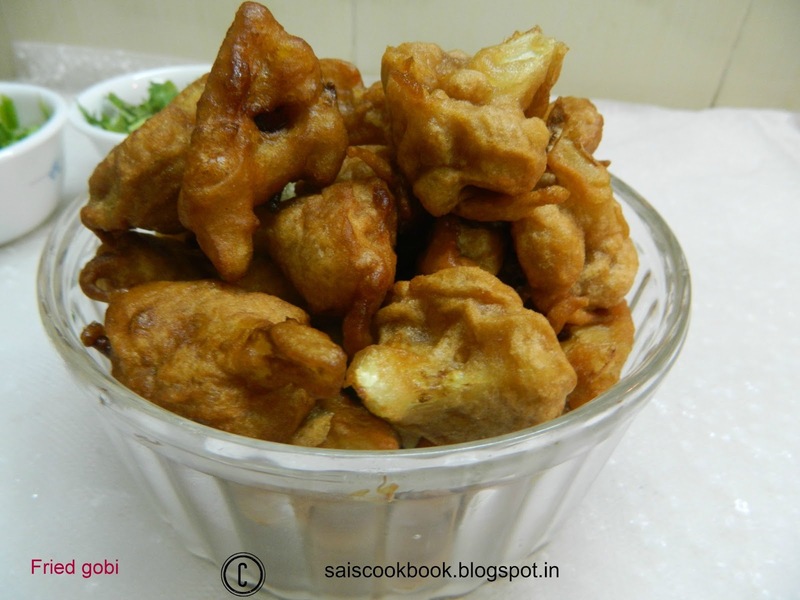 Heat oil,dip the cauliflower into the paste and deep fry until golden brown in colour and keep it aside. Heat oil in a pan and onions,ginger,garlic and green chillies and saute for 2 minutes. 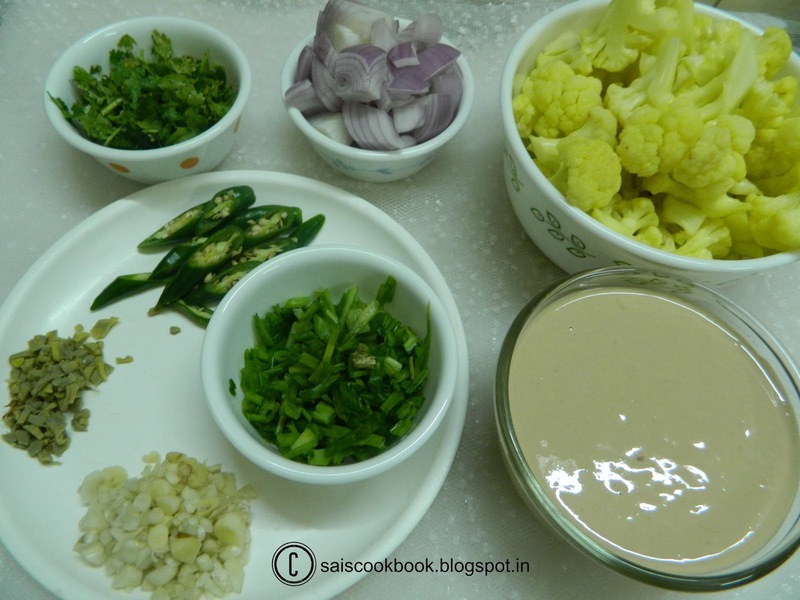 Add red chilly powder and fry for a second. Add soya sauce,tomato ketchup,vinegar,fried gobi,pinch of salt and fry until the gobi gets coated with the sauce. Add spring onion greens and saute for a second. I have no idea how many times I’ve made this – for family, for friends, etc. This has become my signature dish and it keeps coming out well. 🙂 Thank you for posting the recipe. 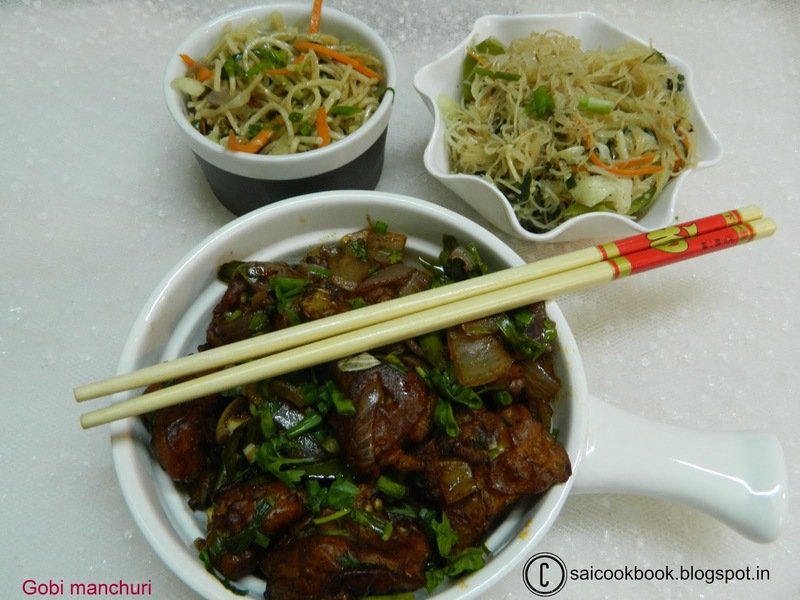 Gobi Manchurian is a wonderful dish and one of my personal favourites.